IMC’s in-residence quintet will perform a variety of repertoire from Baroque through Jazz. The quintet members carry a busy teaching schedule at the camp, as well as presenting concerts in the region. 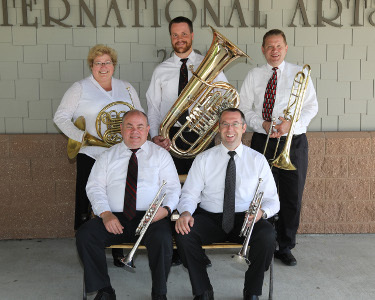 The group is made up of Scott Guidry, Bemidji State University and Mark Nelson, South Dakota Symphony Orchestra, trumpet; Arlene Shiplett, Saskatoon Symphony, french horn; Dr. Joel Pugh, University of North Dakota, Trombone; and Dr. Jacob Grewe, University of Wisconsin – Eau Claire, tuba.